Columbus (v.) To discover a place, item, or phenomenon that is already occupied. As philosopher Shawn "Jay-Z" Carter put it, this ain't politically correct; this might offend my political connects. A few years ago, I made a post about non-HBCUs playing Neck, a subject I've also been tweeting about near as far back as my social media footprint goes. I stand by everything I wrote in the 2013 piece - I may have hedged a bit less in 2017, granted - and decided a new post made more sense than simply revising the earlier piece. My most recent impetus was College Marching sharing a postgame celebration with Washington's Husky Marching Band and running back Lavon Coleman - my beef is with neither of them, it should be noted. 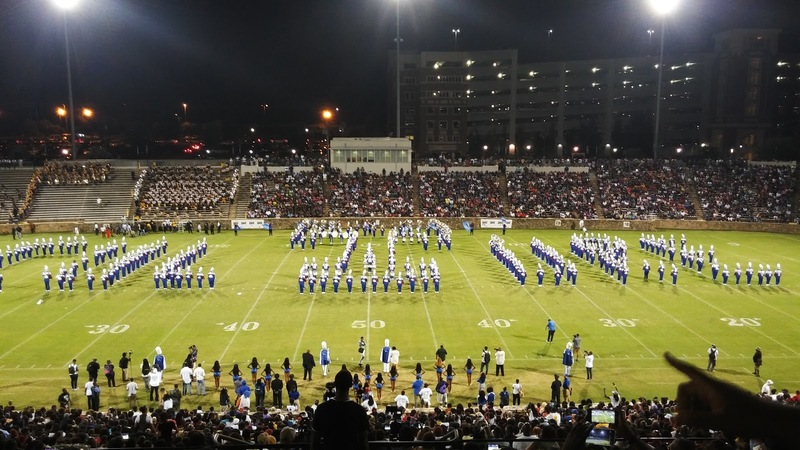 A scant few of the commenters on either the Facebook or Twitter post verbally took exception with the presence of a song long associated with HBCU bands. But since it's Columbus Day, I'm compelled to point out: Neck has been thoroughly Columbused by bands at Predominantly White Institutions. And despite this going on for probably a solid decade, I still internally - and occasionally externally - give a mild to moderate sideeye every time I hear it. Wowwww Penn State's band stole LSU's "Neck" song and changed like 1 note. Yo, Clemson that's our chant. LSU and LSU only is allowed to play "Neck". It's the same script as the latest Kardashijenner discovering "boxer braids" (read: cornrows) or GQ declaring Timbs "This  Fall's Must-Have Boot." Secondly, I've seen PWI bands use Neck as a tableau upon which to paint whatever they deem stereotypically "urban." South Carolina's Mighty Sound of the Southeast does the Bernie (side note: Did anyone ever actually do the Bernie?). The aforementioned Husky Band clip featured hip swivels and body rolls that would make Elvis proud. And LSU, of course, has a consistently tenuous hold on their ability even to play the song at all due to the vulgar lyrics that accompany it. Further, it wasn't so long ago that the folks lauding the "fun" that this band is having were the ones decrying HBCU marching as undisciplined, lacking in talent, or even primitive - all not-so-subtle dog whistles with racist undertones. Even in the Facebook post, some are spitting "show style" with the same vitriol one with which one may say "ghetto." And yet, in the Drumline era, and certainly with the ubiquity of social media, the once mocked becomes desirable. These facts are not occurring in a vacuum. This leisurely stroll in the HBCU park is happening at universities that struggle to enroll, retain, and graduate Black students in particular, and in a national climate that is often hostile to those same students. While HBCUs struggle for mainstream (loaded term noted) recognition of all of the things they do well, PWIs are going viral playing a piece that's been in the HBCU repertoire for decades. I'll note I'm an alumnus of two PWIs and work at a third - at least two of which play Neck - but you'll excuse my lack of humility when I assert that I have a decent handle on culture in America and athletic bands' presence within them. I'm not here to say that PWIs can't play Neck, or even that they shouldn't - it's far from my call to make. 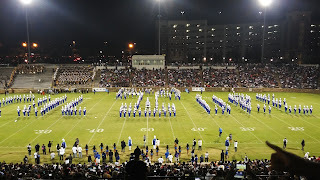 But I'll ask that you consider the context and don't be surprised if HBCU bandheads take exception.